Make your home a brighter place with Lighting. Lighting is an important aspect in any interior space. Its plays a key role in our everyday lives. Lots of creative and bright ways are available to light up your home. Peoples are confused to choose perfect color, shade and styles of lighting for homes. 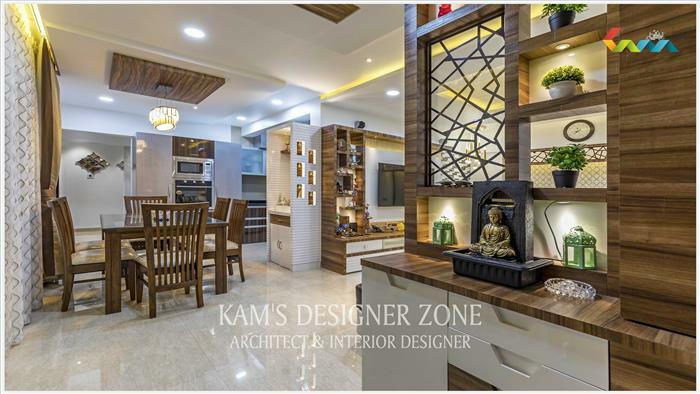 Here are some ideas given by Interior Designer in Baner Pune helps to select the best lighting for your home interior decor. Chandelier: Chandelier is a decor piece useful to illuminate and elevate any space. Chandelier can enhance the style and dynamics of any space. You can use the modern chandelier to match your home interior, or select a rustic chandelier to create a natural and aesthetic environment. Floor Lamps: You can light up any specific section of your home using a floor lamp. They are easy to move from one place to other. Floor lamps are available in variety of shapes, sizes and styles. Hanging Lights: Hanging lights is best way to light up the room space with best decoration. Hanging Lights comes with adjustable cable. You can increase or decrease the height of lights as per the requirement. It’s available in variety of shapes, sizes and designs. Scones: Scones can be structured on both Interior and Exterior walls of home. Scones can create a beautiful ambiance in your room space. Scones come in different shapes, sizes and designs. You can use the scones to enhance the beauty of your home decor. Mirror Lights: Add the lights on the either side of mirror to create brighter atmosphere in your space. Mirrors reflect the light and it's useful to create space look bigger and brighter. Bedside Lamp: Bedside Lamp is the best decorative element for your bedroom. It’s a great way to life, style and sophistication in your bedroom. Bedroom lamps come in variety of colors, sizes, shapes and designs. Skylight: Skylight is the best way to bring in a bit of the sky in your home space. Skylight can beautify the room space with creating the natural and comfortable atmosphere in room space. You can install skylight for new homes or existing home.